Mr. Justice Frank Clarke was appointed the 12th Chief Justice of Ireland on 28 July 2017. In a recent speech he laid down several markers of change he wanted to see happen in the Courts system. As innovative lawyers who champion a paperless office, I was encouraged to note his desire in his maiden speech for more Court documents to be filed online. And why wouldn't he? Since 2000 Singapore has allowed an 'Electronic Filing System' of pleadings for its litigation. Since September 2017 the Caribbean has followed suit. And the sky has not fallen in either jurisdiction. 10. The legal world is out of touch with its citizens and business community who increasingly operate in an online world. There are some challenges however. A significant IT infrastructural investment will be required by the Courts Service. Inevitably some civil servants and Court clerks will become redundant. Lawyers will have to buy in. Judges and Civil servants will have to skill up. The benefits outweigh the burdens. Will softly softly work? Not in my view. I would implore the Chief Justice to announce that from a certain date in the future all cases starting at that date will have to conduct their dispute through E litigation. The Commercial and Chancery divisions of the High Court spring to mind as good candidates. It would take 18 months minimum to implement. We don't need to re-invent a wheel through never ending pilot schemes. Judges and civil servants need to visit Singapore or the Caribbean to see how it works. I'm pretty confident that any invitees would accept an expenses paid trip to either destination! E litigation needs a champion and a leader. The Chief Justice meets this criteria. It would leave a lasting legacy from him and it would deliver a seismic shift that improves and accelerates the wheels of justice for everyone. This is access to justice in a meaningful way. This has already started as a pilot scheme under the watchful eye of the President of the High Court. That's not enough. To be fair the Chief Justice has committed to making all leave to appeal applications to the Supreme Court an online process. Be bold. Be ambitious. Is féidir Frank. 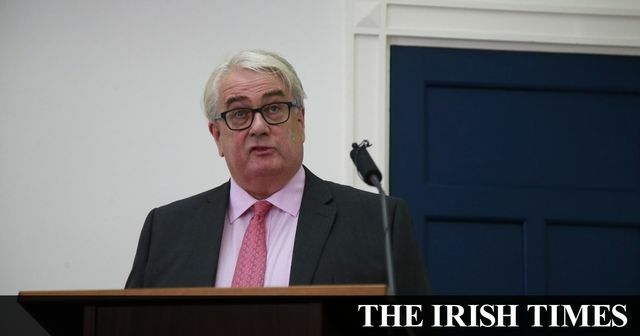 In a speech to senior legal figures to mark the opening of the new law term, Mr Justice Clarke said there was little doubt “that at least some aspects of our civil procedural model are beyond their sell-by dates”, noting that many of the rules of court date to 1870. He said there was little point “in having a good court system, likely to produce fair results in accordance with law, if a great many people find it difficult or even impossible to access that system for practical reasons”.